As your Real Estate Agent I will work diligently to act in your best interest. Whether you are buying or selling real estate I will put forth my best effort to help you accomplish your real estate objectives. If you are buying or selling real estate in the Bismarck/Mandan area, call Rae Ann Seibel at (701) 220-1080 to ensure a smooth & pleasant transaction. I know the value of family & the importance of finding the perfect place to call home. I enjoy spending time with my husband & two sons camping, attending sporting events and traveling. I became a licensed REALTOR® in March 2006. 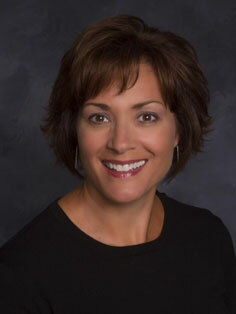 As a full-time Real Estate Agent, I am committed to providing the best service possible to my clients. I understand that buying a home is one of the biggest decisions a person will make in their life & therefore I strive to make the process of buying & selling real estate as smooth & stress free as possible for my clients. Buying Real Estate: I will strive to locate the best home available to meet your needs & desires. I will exercise skill, care, professionalism & confidentiality in all aspects of the transaction so that you can make an informed purchasing decision. Selling Real Estate: I will work toward selling your home for the highest possible price, in the least amount of time, while striving to make it a positive experience.